Our company is at your service whenever you need repairs or installation of access control in Stouffville, Ontario. These systems are vital for your security. When they are installed correctly, they operate properly and make access quick and controlling access easy. Don’t take chances by underestimating the importance of having access control installed right. Turn to our team for flawless installations but also repair and maintenance services in Stouffville. The internet revolution and the overall development of technology have both affected these systems. Today, an access control system can be as simple as a keypad or cloud-based. It might be operated with a fob or access cards. In any case, the installation must be done right from the start. Take no risks by assigning this job to us. Whether you want several card readers at your firm or an access control residential system, we are at your service. You can turn to our access control systems company with the assurance that the installation will start and finish by the book. Whether there’s a need to install only one exterior keypad or several interior ones, have no worries. Whether you want to protect data in just one room or get an access control system for a multi-tenant building, the job is done to perfection. Get expert installation by assigning the job to Locksmith Stouffville. We are here for any access control service. Do you want to add a few more keypads and thus protect several more areas within your office? Are you having some troubles with the existing system? We hurry to help. Our team sends out pros qualified to diagnose problems and trained to fix failures. No matter which system you own, the access control repair service is done in a timely and proper manner. Reach out to us if you want to expand the lifespan of the access control system and hardly deal with failures down the road. With regular maintenance assigned to our team, putting common problems behind you is easy. 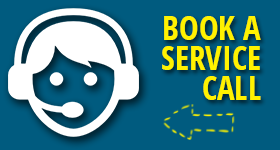 We remain updated with all novel products and partner with the best pros to ensure your absolute satisfaction no matter which service you need. 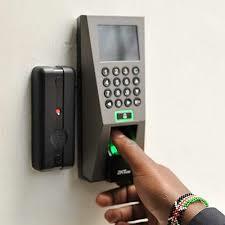 Just call us and your access control Stouffville needs will be served quickly.